Today, data is everywhere. With more people digitizing their lives, there’s data that companies can use to better their services. Over a long period of time, it has been believed with data collection and analysis skills, you can only become a data analyst or data collector. This, however, couldn’t be further from the truth. There are multiple career paths you can pursue after perfecting your data skills. In this day and age, everyone is migrating to the digital platform. Companies are not being left behind. To advertise their services and grow their market base, they are using social media platforms, websites, blog pages, and other popular digital avenues. To have maximum effect on their campaigns and general engagement, companies need an expert to convert the data availed and produce results. As such, a digital marketer who has an in-depth understanding of data and can simply analyze it will be highly sought after in the job market. You have products that you would look for in a dozen supermarkets. You also have others you wouldn’t use even if they were given at a discounted rate. The companies behind these products use certain ingredients and products to appeal to your personal taste. The work of a product manager is to know who the company’s products and services appeal to. Equipped with this information, the product manager can effectively customize the products and services to fit a certain demographic. One of the most effective ways to customize a product is by analyzing data collected. With skills in data collection and analysis, you’ll have an easier task of effectively using the data. Monitoring and evaluation (M&E) officers are mostly common in non-governmental organizations. Essentially, M&E officers analyze data and help to chart a way to get better results that achieve the organization’s goals. With data skills from our advanced excel course, you can work in various organizations such as The United Nations, World Bank and many more both local and international organizations. 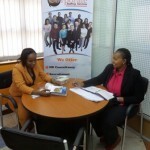 Companies that deal with large amounts of data such as telcos employ data entry clerks to input the data from manual platforms to digital ones. With advanced knowledge of Excel, you’ll not only be employed as a data entry clerk, but you’ll also have improved chances of being given administrative and leadership roles. Since we are living in a digital age, data is precious. Companies that need data to help form their decisions, such as insurance firms, are hiring data managers to take care of the company’s data. While a background in Information technology could be an added advantage, the basic understanding of data collection and analysis will help you get a job. Clearly, data is revolutionizing the business world. More positions are being set up to accommodate job seekers who have a clear understanding of data matters. To improve your data comprehension skills, join our Advanced Excel Course. The trainer takes a step by step approach to ensure you clearly understand the concept and can use the lessons to get a job or a promotion. For more information, reach us on 0722 735 216 or email us through trainings@corporatestaffing.co.ke to book a spot in our next training. Data Scientist, Machine Learning Engineer…….the best paying jobs in the USA……….